What Size Is the Twitch Offline Banner? 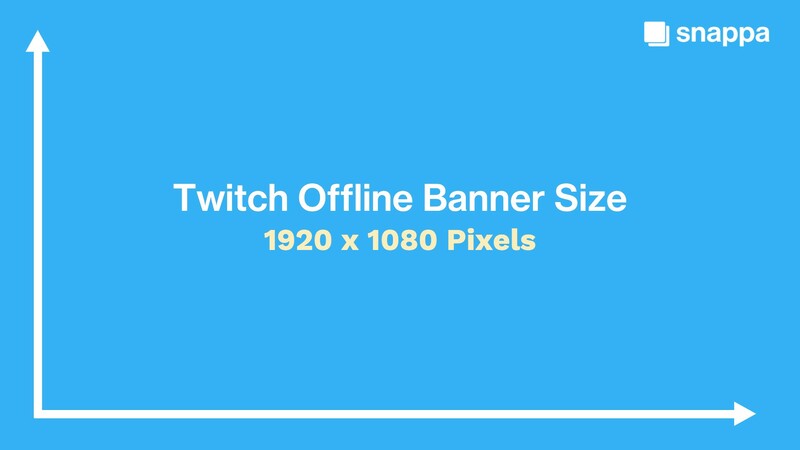 The Twitch offline banner size is 1920 x 1080 pixels with an aspect ratio of 16:9. These are the same dimensions as standard HD video. 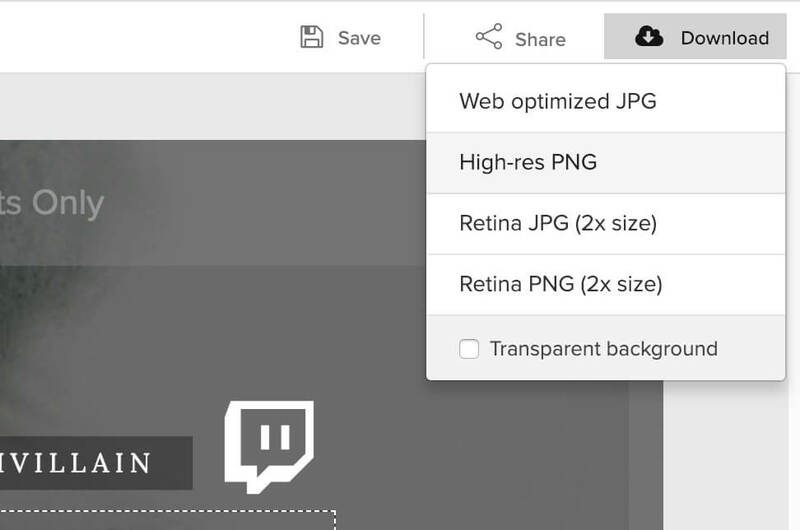 It is recommended by Twitch to make sure your file size is max 10mb and is a GIF, JPG, or PNG file format. When designing your Twitch video player banner you want to make sure that you leave some room on the top, bottom, and sides. 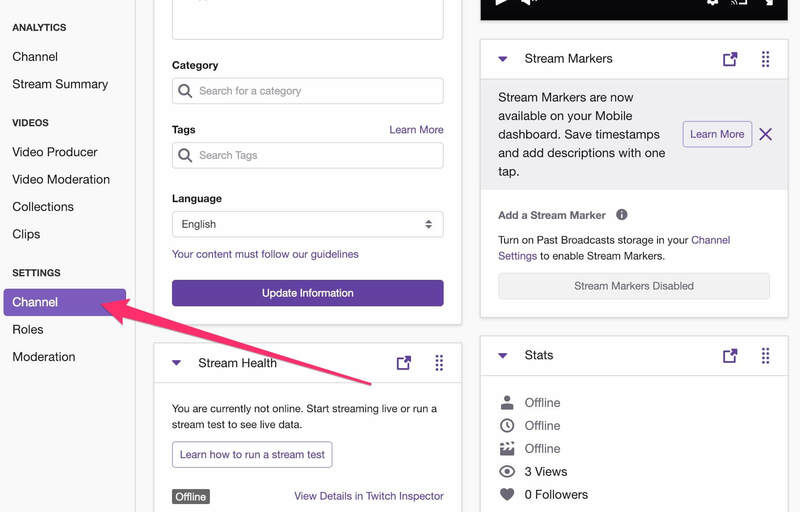 This is because Twitch displays some of your recent videos and some call-to-actions on the sides which can block some elements in your design. 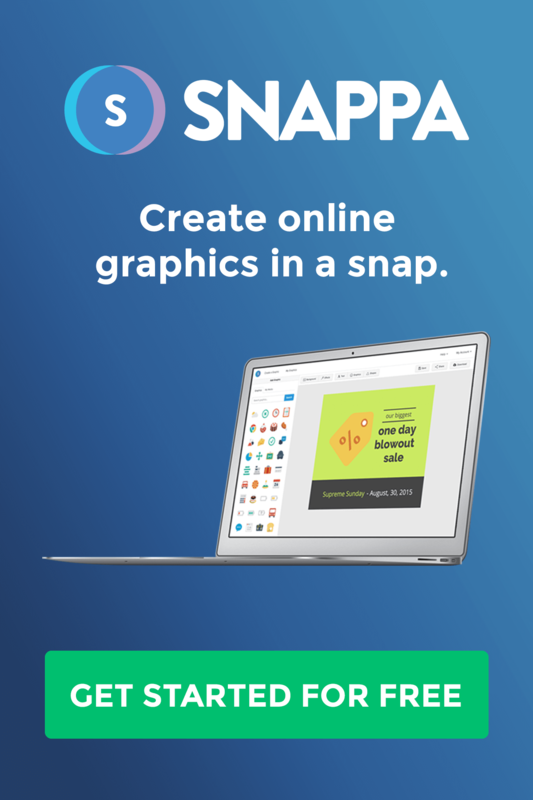 You can use more complex programs like Photoshop or Illustrator to create your Twitch video player banner, but it is much easier to use an online Twitch offline banner maker application like Snappa. 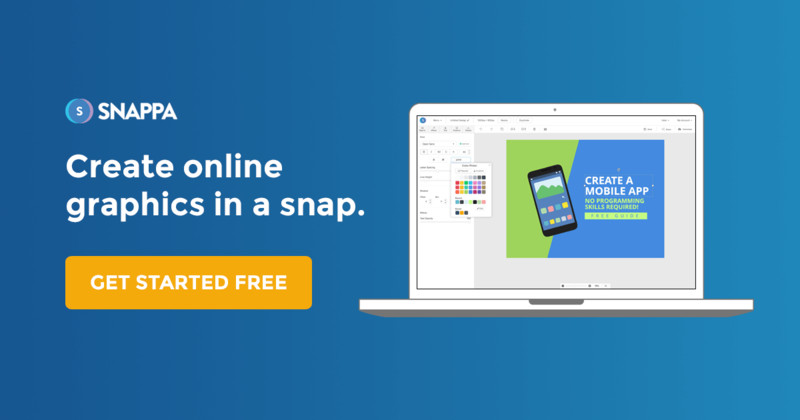 Here is a step-by-step on you can create an offline banner for free and with pre-designed video player templates! I’ve also included some screenshots to help walk you through the simple process. First, you want to go in and select the Twitch offline banner size template with the proper banner dimensions. 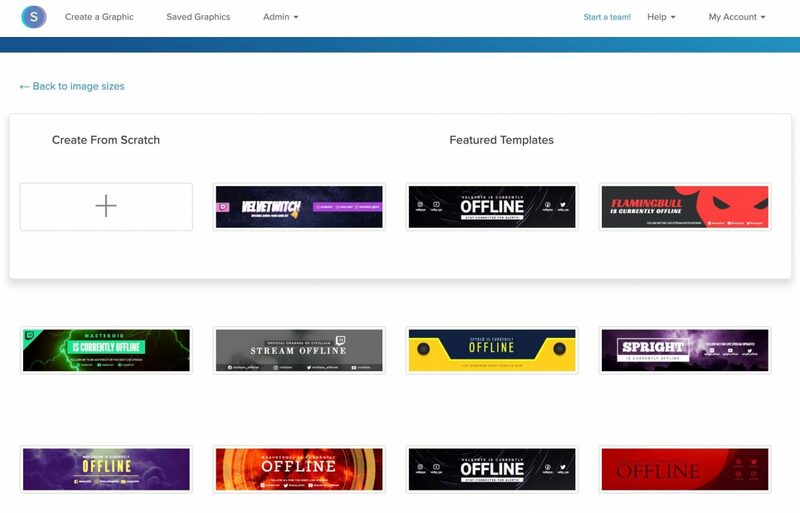 After you’ve selected the right dimensions, you can go ahead and choose from a variety of professionally designed Twitch offline banner templates or you can choose to create from scratch. Once you’re in the canvas, the banner is fully customizable and you can upload your own photos, move elements around, add or edit text, and much more! Once you’re done, you can download your graphic from Snappa and upload the video player banner directly into your Twitch channel! 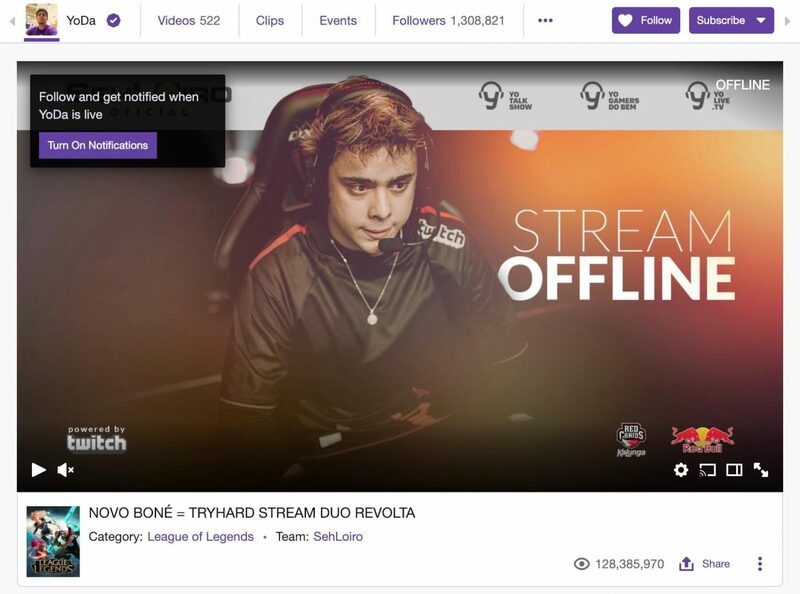 How to Add an Offline Banner on Twitch? 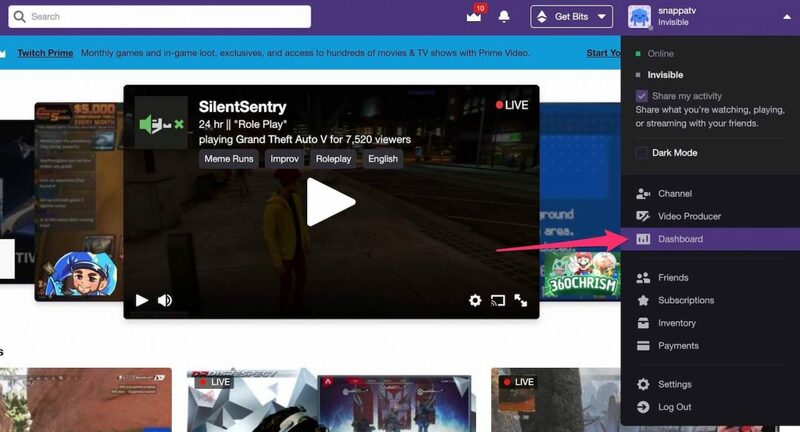 To add a Twitch video player banner, you will need to navigate to the dropdown menu in the top right side of your screen under your username. From there, click the Dashboard menu option. Once you’re in your channel dashboard, there is a menu on the left side bar. You will need to navigate to the bottom under the sub-category Settings. You will then need to click on Channel. Once you’re on your channel settings, scroll down mid-page and you will see a section to upload your Video Player Banner. 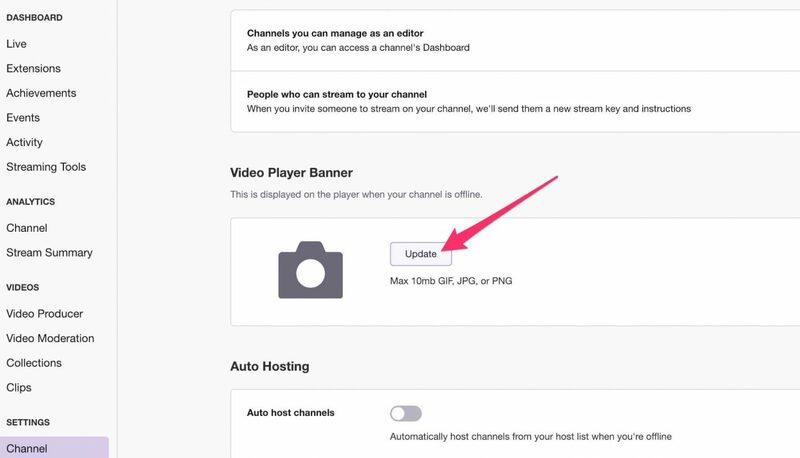 There is an Update button where you can add your Twitch offline banner. What you don’t want to do is have your visitors leaving your Twitch page empty handed. Give them a set timeline to come back or links to your other platforms where they can find you at. It’s important to also include some call-to-actions and encourage viewers to subscribe for more Twitch benefits. Prompt your audience to donate which should help support running the live stream. You can approach the banner in several different ways, but please stay consistent with your branding. I’ve seen some pretty awesome video player screens around Twitch. Here are three that I thought were well designed and follow the principles pretty well. The first one here is by user ChanManV who has a nice simple animation of himself in the middle along with a simple background. He also includes his Twitter, Facebook, and YouTube handle and a few of the games that he live streams. 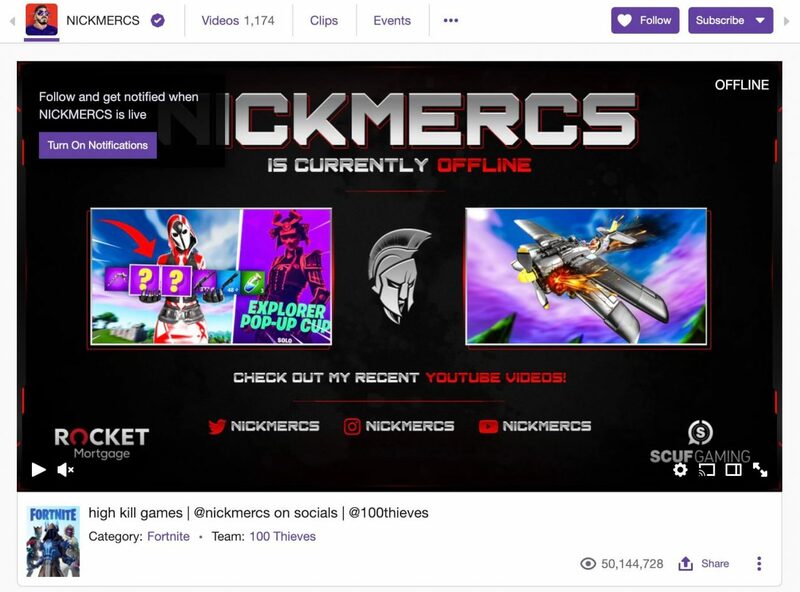 The second Twitch offline banner example I’ve chosen is by user NickMercs. The video player screen looks almost like a YouTube outro. The screen includes his social channels, the games he plays, and his channel sponsors! The last banner example is by streamer YoDa. What I really like about this offline banner is the use of a professional photo and graphics incorporated on top. This makes the screen look so much more professional and really stands out from other ones on the platform. 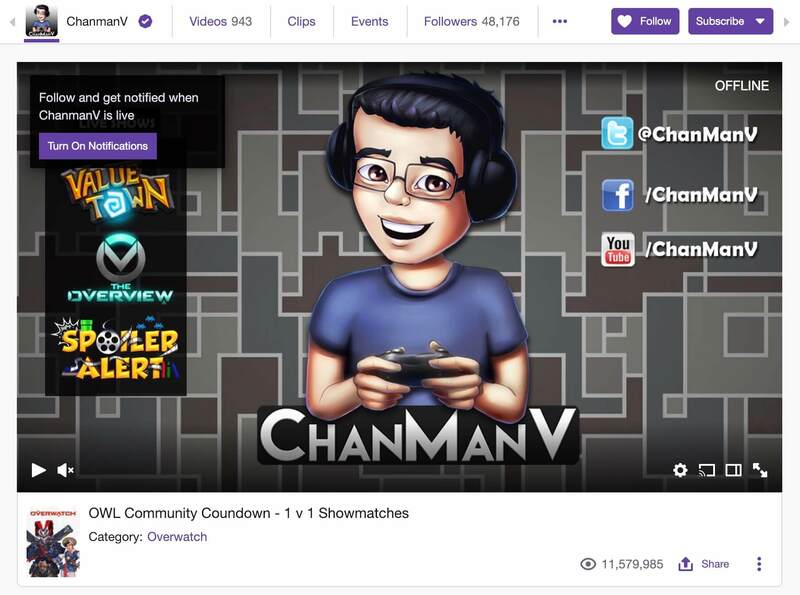 Your Twitch page is the first thing viewers see when they visit your profile so you want to make sure it’s perfect. 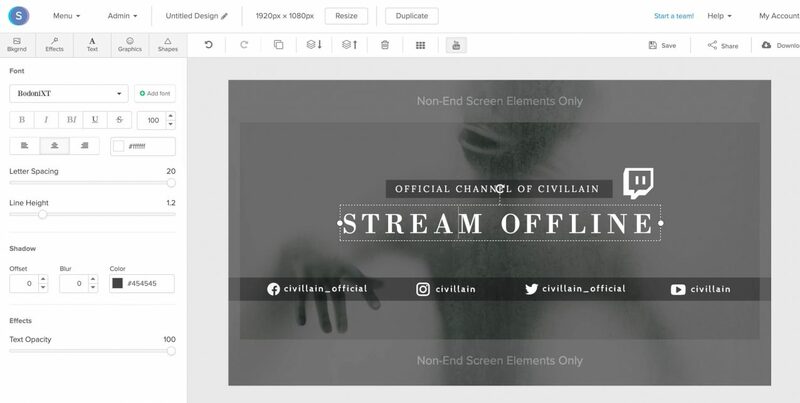 Having a properly designed Twitch cover photo and Twitch video player banner are essential for users looking to watch your live streams. Use the right offline banner dimensions and include the necessary social media channels so that you can maintain a close relationship with your viewers! Do you have any tips or tricks for those looking to design a Twitch offline banner? I would love to see the video player banners that you’ve created, so drop a comment down below! I’ll check them out!